Keighley Tree Services Limited (KTS) are a family based company that was established in 1984. We are based in West Yorkshire and have an industrial site, housing offices, workshops and two sawmills, where we recycle any products produced from our professional tree service. Tree trunks are used to produce logs for firewood and distributed, or if suitable, are sawn up to customer specifications for use in construction, gardening or even interior design and wedding decorations. Wood that doesn’t meet requirements for these products is chipped into mulch (often known as “bark” or “bark chippings”) for use in horse arenas, garden mulching, footpaths, children’s playgrounds, etc. Recycling has become a large part of our industry, we have no waste. 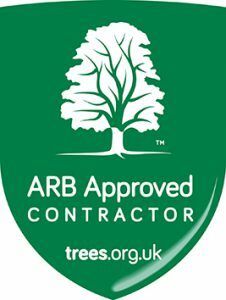 We are professional tree surgeons, with a large and varied fleet of up to date compliant equipment fully maintained to cope with any tree related situation in the most cost effective way, from the small garden to building site clearances, we can also process miles of vegetation problems along the railway infrastructure. All our work is carried out by fully competent staff, trained at varying levels through the NPTC examination board, they work to industry best practice up to BS3998 standards, and are covered by 10 million pound liability insurance. As we are a family based business, we are small enough to care, but large enough to cope, ensuring we give a quality service at all times, covering most parts of the country, we are also registered with various utility databases, through which we are audited, ensuring the highest of standards at all times, and peace of mind for you. We are capable of carrying out the full spectrum of services for tree work, ensuring customers have only one point of contact throughout the varying stages of approval, and implementation of works, on receiving an enquiry, a mutually convenient time will be arranged to make a visit, you will then be advised on various courses of action, or pruning techniques, and how the tree will respond after these works have been completed, the advice being based on achieving your objectives whilst ensuring the continued good health and safety of the tree. You will be advised if the tree is under any statutory protection, if so we can act as your agent in applying for the appropriate consents. Keighley Tree Services Ltd shared a link.